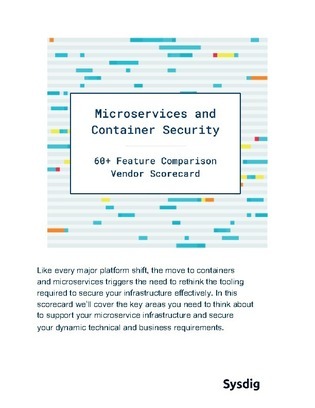 If you’re considering a move to microservices and/or containers, you will need to rethink the security infrastructure surrounding your applications and testing processes. But with so many security solutions available, how can you decide which has the specs you need in your organization? Use this container and microservices RFP template to help make your decision by comparing several different vendors across runtime security, incident response, network security, and more.